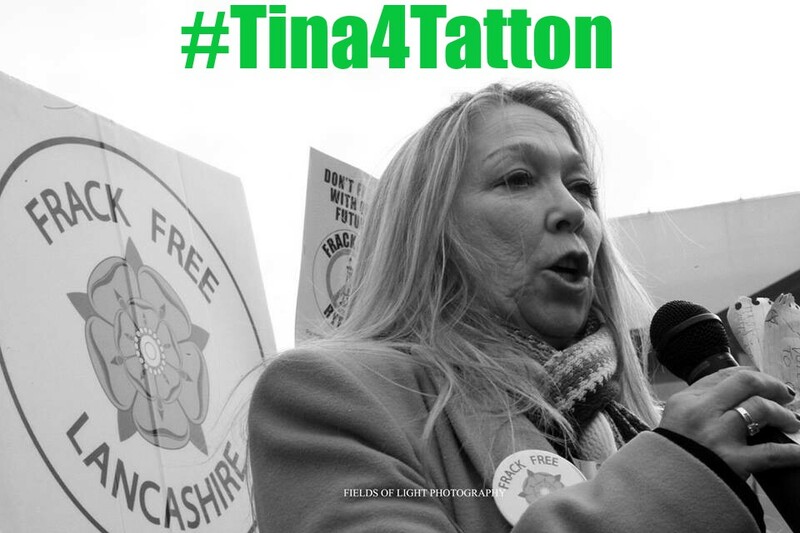 With all the validity of Dave saying that fracking will give us cheaper gas the team at MancunianSpring have come out for Tina Louise of the Green Party who is running against George Osborne in his Tatton Cheshire constituency. The selection was unanimous for multiple reasons. Firstly, Tina Louise is one of the most altruistic and beautiful human beings you could ever wish to meet. She does things for the right reasons and contends that she doesn’t want to be part of the system..she wants to change the system. There’s no doubt that even if she got to Westminster she’d be campaigning to have herself put out of a job and a more socially just system replacing the one that she’d been voted into. Not only is she a fine orator she matches the talking with walking having been a frontline activist in the fight against fracking for many years and that alone would be a breath of fresh air in this age of stage managed and sterile politicians whose convictions rarely match their actions. We’re also backing Tina Louise because of the Osborne factor. Readers of this blog will know that we have been particularly vocal in our objection to the Osborne imposition of “Devo Manc” upon the people of Greater Manchester including a Mayor that we don’t want. Short of Mancunians popping over to Knutsford to declare the place as now being administered and run by the Frank Sidebottom statue in Timperley, our backing of Tina Louise is the nearest that we can get to messing with HIS patch.